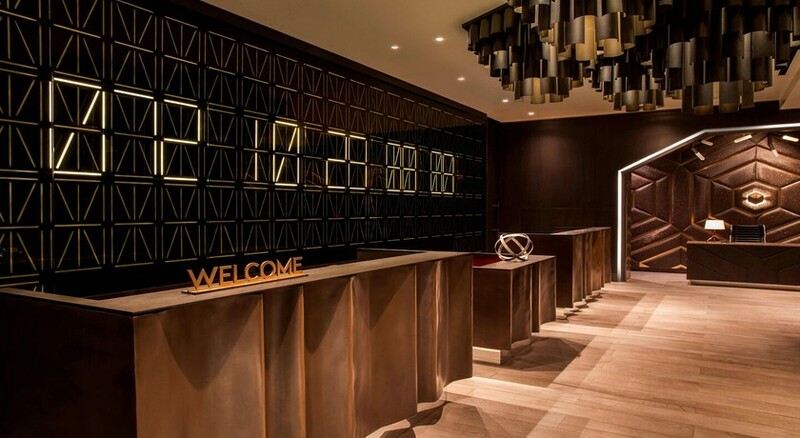 W New York - Times Square is one of the most stylish urban hotels on Broadway. With spectacular views from the rooms of the sky scrapers, this luxury hotel welcomes its guests from all across the world, where they can feel the pulse of the city. As the hotel is situated in a prime location, you can pay a visit to numerous attractions such as Modern Art Museum, Radio City Music Hall and Times Square. 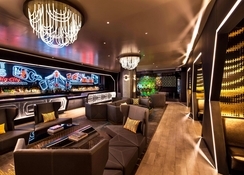 In addition, it is only a few steps away from the major subway lines, which connects the guests to all the areas of Manhattan. 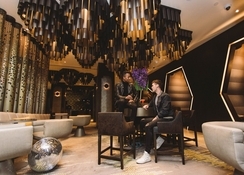 After you explore New York city in the day time, you can get yourself recharged in the bold suite and guest room, refill at one of the two dynamic restaurants or take advantage of the luxurious spaces in the living room to relax. Within the hotel, you will find a fully-fledged fitness centre and 24-hour room service. W New York - Times Square is conveniently situated on Broadway, New York. The Rockaway Beach is only 38km from the hotel, making it convenient for the beach lovers and water sports enthusiasts alike. Those who have luxury shopping requirements can take a walk or a short taxi ride to Times Square, where you will find numerous shops dealing in luxury brands, it is not more than 200m from the hotel. La Guardia Airport, which is 18km is also not too far. 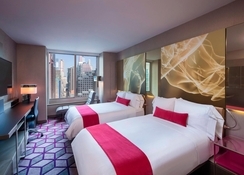 W New York - Times Square features 509 glamorous guest rooms as well as 43 suites that are available in numerus categories. Rooms and suites in the hotel are categorised as Wonderful Guest Room (Guest room, One King, City view), Wonderful Guest Room (Guest room, Two Double, City view), Spectacular Guest Room (Guest room, King, Skyline view), Spectacular Guest Room (Guest room, Two Double, Skyline view), Cool Guest Room (Guest room, One King, Hudson River view, River view, Corner room), Cool Guest Room (Guest room, One King, Times Square view, Corner room), Fantastic Suite (Suite, One King, Sofa bed, Broadway View), Marvelous Suite (Suite, One King, Sofa bed, Bathrooms: 1.5, Broadway view, High floor), Wow Suite (Suite, Bedroom One: One King, Bedroom Two: Two Double, Bathrooms: Two, Broadway view) and Executive Suite (Presidential Suite, One King, Bedroom is a loft, Bathrooms: Two, Broadway view). 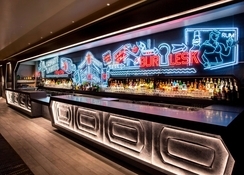 There are three appetising bars and restaurants to choose from that include MEXICAN Dos Caminos, AMERICAN Blue Fin and The Living Room. Or take advantage of the in-room food and beverage service that is available for 24-hours. 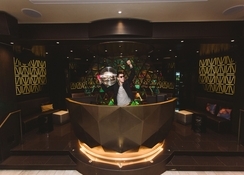 The staff members in the bars and restaurants are friendly and professional and they will give you suggestions to choose the best food and beverage combinations. 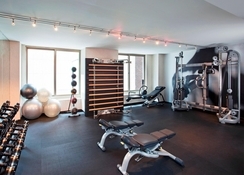 W New York - Times Square is a great place to stay, especially for those travellers who want to maintain their fitness level, as there is a fitness centre open throughout the day and night and on all the days of the week, which will ultimately make it convenient for the guests. In addition to this, the hotel’s glamorous event venues are a perfect setting to celebrate your wedding or any other important occasion. Other than this, there are numerous sport clubs near the hotel, where you can enjoy your favourite sport.